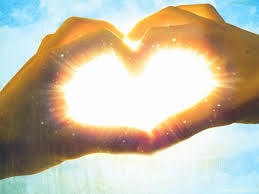 I'm sure we're all familiar with the phrase, "You have to love yourself first to love someone else." It has always sounded like a lofty goal, or just one more thing added to our never-ending "improvement" list. But Valentine's Day doesn't have to be just about giving chocolate and roses. It can be about celebrating love in its many forms, starting with you. Here's a challenge. Take a moment to appreciate something you do well: a talent, one of your favorite character traits, something you do for others. See if you can allow your body and mind to accept this awareness without the nagging voice coming into your consciousness of, "Yes, but..."
For the moment, let go of the critical "voice." Encourage your inner monologue to be unconditionally positive and observe the change. 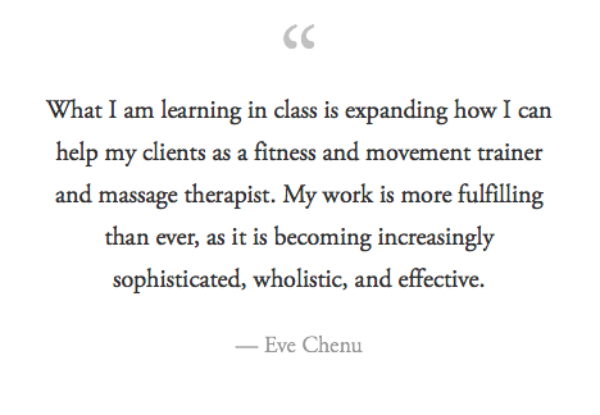 Before I started my own business practicing Aston-Patterning in 1997, I had been an Occupational Therapist in a Seattle hospital for 20 years, working in rehab with stroke victims, back pain and hand injuries. Continuing education classes introduced me to Judith Aston in1988 and I was quickly taken with many of her concepts, from spirals to negotiation of differences. I had drawn spirals on bodies in trying to understand movement patterns I saw in stroke recovery. I was sure what we needed was some kind of self-defense against gravity, so coming to find gravity as a friend through GRF was a revelation. Neurodevelopmental techniques used in stroke rehab became much clearer when working with center of gravity over base of support, and from there it seemed obvious that our nervous systems would be organized in relationship to gravity and ground force. I am forever in love with GRF. A couple of my favorite Aston principles are ‘where stillness meets motion there is a stress point’ and ‘negotiating differences’. I have found that these, like many other Aston concepts, are applicable not only to physical structure but to emotions, psychology, relationships and life as a whole. Both for us as practitioners, as well as for our clients, the work is about manifesting our best essential self and living from that place. For me, there was never a question about training, just how and when to make it happen. My clients benefit greatly from learning about the gift of gravity and ground force, and are pretty amazed every time they feel it work. The three dimensional touch which transforms their bodies continually delights and surprises them, and me too. Sessions are a shared learning experience. My clients get involved with solving the puzzle of their bodies; how they’re held and why, and often when they feel results, they will refer their friends and family. 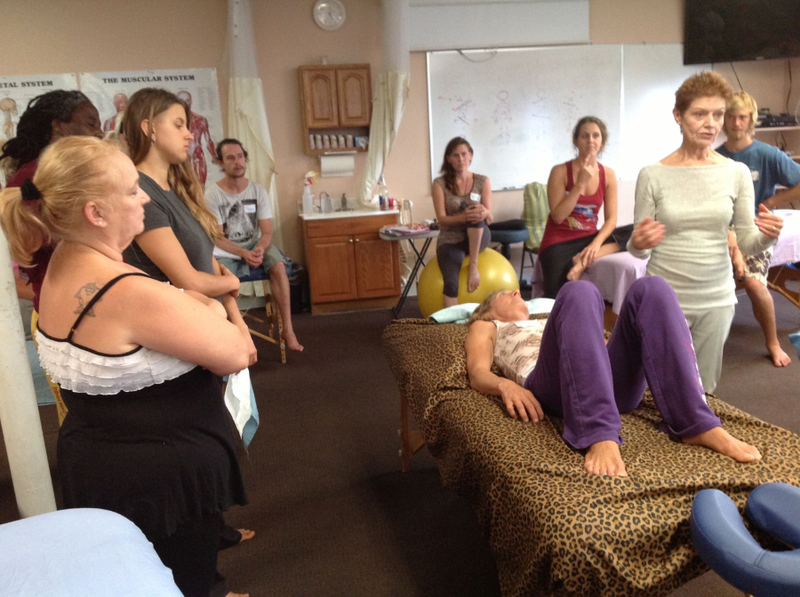 My ongoing focus and biggest source of excitement is communication with fascia. Every working day I discover new messages the fascia holds - the force that impressed it, the source of that force, the direction and route of the force through the tissue, the end of that excursion and the release. When read accurately, the fascia can be the key to understanding the person’s experience and its presentation in their bodies. The information comes directly from the client’s body into my hands, not from my ideas of what should be done. This demands inquiry from a non-judgmental platform, use of Aston three-dimensional touch and working from my own best neutral with gravity/GRF. 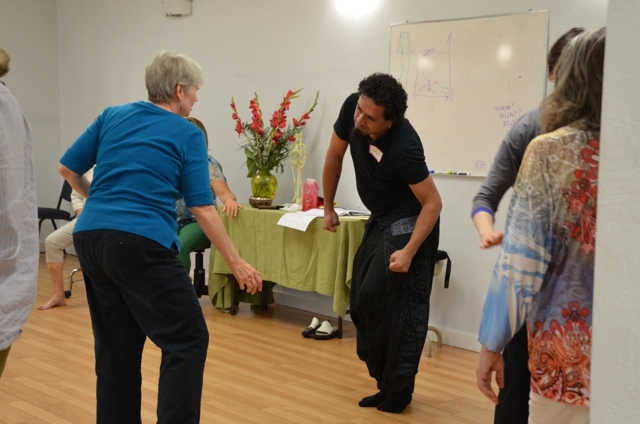 Embodying what I teach is the truest form of this practice and makes it most successful. I work to move this way in my every day life. It’s how I continue to discover who I am as a person and how I interact with the world. It is endlessly rewarding. To learn more about the work I practice, or to schedule an appointment, I can be reached through email optionstherapyservices@gmail.com or by phone at (206)-547-6033. 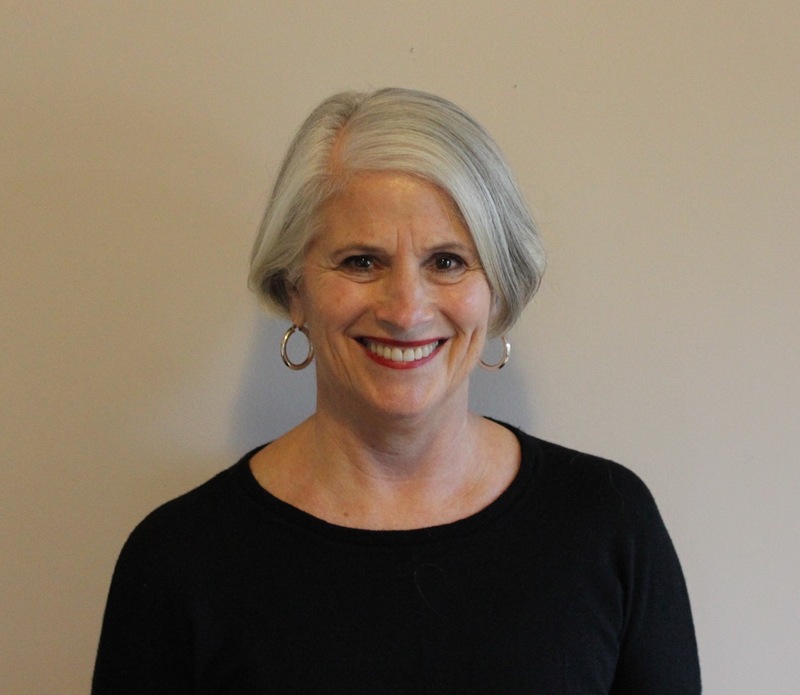 Judith had the pleasure of participating in the podcast "Liberated Body." It was a great episode about what it means to "see" the body, the impact of product design on our bodies, how we learn new movement patterns best, what the early days were like with Dr. Rolf and others, and much more! On the Road to "Continuing Transformation"
Looking for inspiration and assistance in the new year? Visit our new blog, "Continuing Transformation," where Judith Aston writes about the latest fitness crazes, being mindful and "body"ful and starting the journey to your best body. 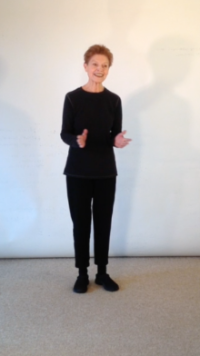 Bonus feature: instructional videos to deepen your practice! Click on Judith to check out "Continuing Transformation." The deadline to apply is February 15th, 2015. Apply today! Practitioners: Refresh Your Aston Arthro-Kinetics Skills this August! Are you an Aston-Patterning Practitioner who has completed the Arthro-Kinetics advanced training? Do you need additional CEUs this year? Do you need a refresher to sharpen your skills? Consider retaking Arthro-Kinetics Phase III this August! Retakes are available at $140/day with options to attend the first week or all 12 days! 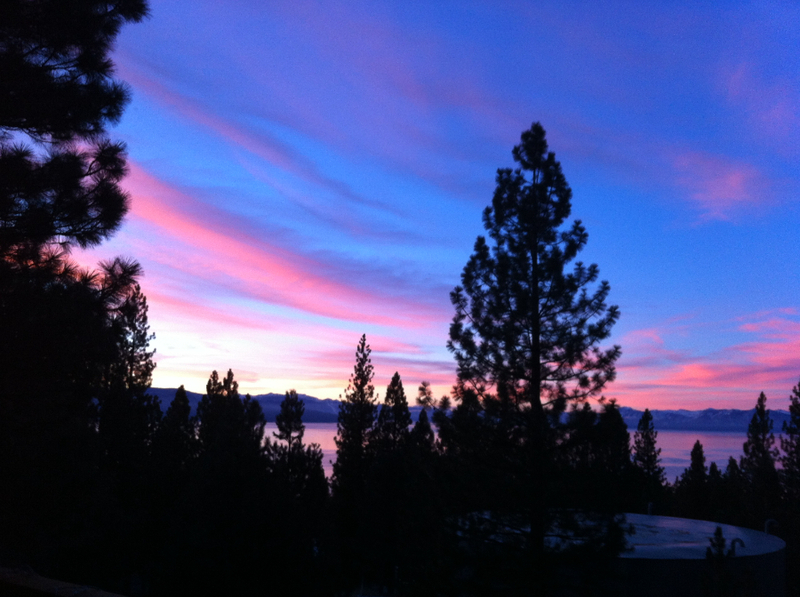 Arthro-Kinetics III will take place in Lake Tahoe, Nevada from August 22nd to September 4th, 2015. This pillow will allow for increased movement with less tension when used to support the action of the accelerating thigh or knee while driving. It is smaller and firmer than the Universal Pillow and can be used for added support in almost any situation. Portable. Made in the USA. On sale for $18.95 until February 28th. 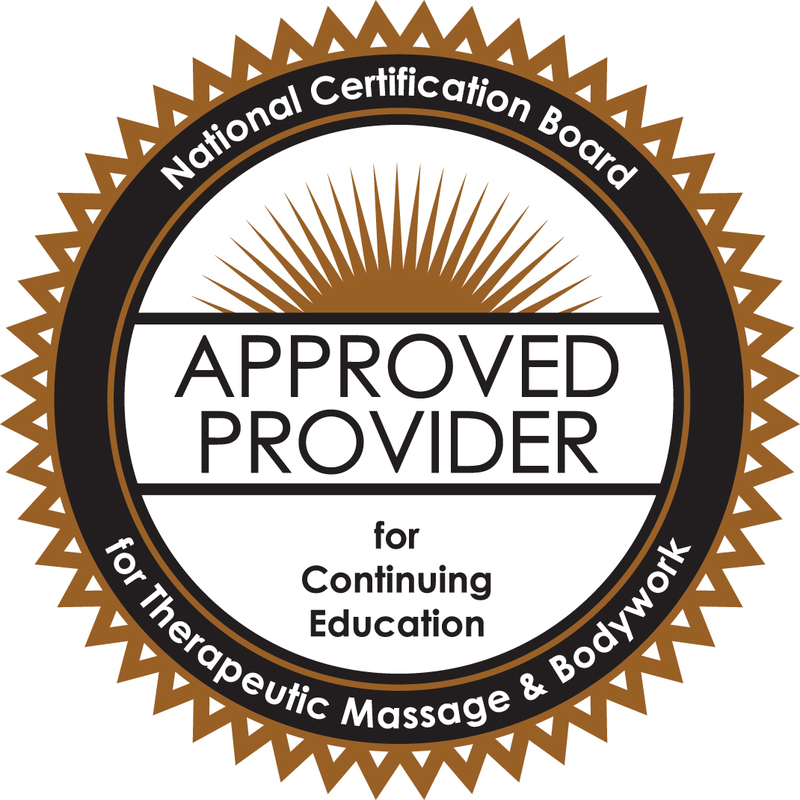 In addition to NCBTMB approval, these courses provide 3.25 continuing education credits through CPTA for physical therapists.